Theme: Halal, More than Just Food! 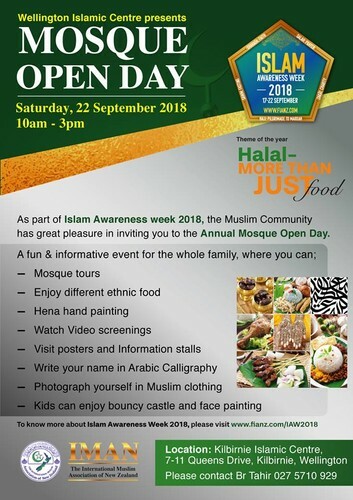 Please take part in the Mosque Open Day as part of Islam awareness week 2018 organised by The International Muslims Association of New Zealand (IMAN). Meet some Muslims. Try out some ethnic food.